Date: Dec 6 2018, 5 p.m. - 7 p.m.
Join the West Point Arts & Crafts Center for a special holiday crafting project! 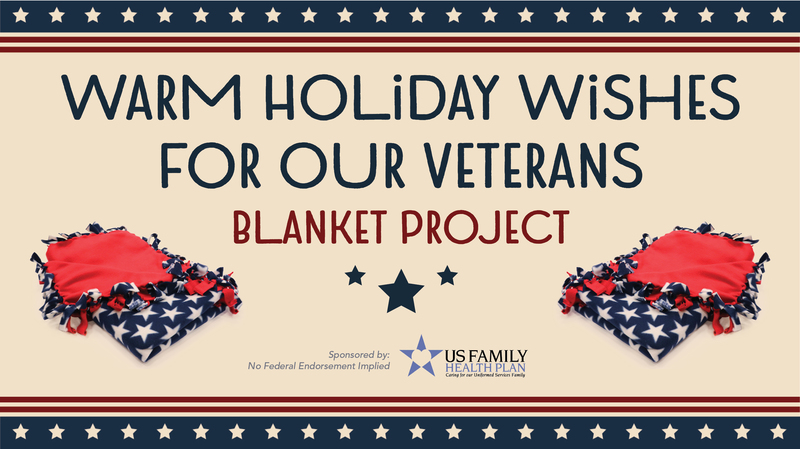 Sign up for one of our sessions below and make a beautiful patriotic fleece lap blanket to be donated to our Veterans at VA Medical Center-Castle Point. West Point BOSS soldiers will be delivering 50 blankets made by YOU and your family to our Veterans to brighten their holidays and keep them warm. Each blanket will feature a handwritten note by the crafter to let our Veterans know that they are loved and thought of. We hope you will join us for this very special event and help us give back to those who gave so much. Special thanks to our sponsor: US Family Health Plan. FREE to participate, only 50 crafting spots available, call to register today! For more information, or to register, call (845) 938-4812.